Jewish prayer is a complex, multi-layered activity. The sages refer to prayer as avodah she'balev, service of the heart. Avodah is the same term used to describe the sacrificial service in the Holy Temple. However, since the destruction of the Second Temple in 70 C.E., prayer has become our primary means of “connecting” with God. Avodah also means work--giving something of ourselves to God. But what benefit could God derive from our prayers? How do our prayers serve the Divine? The Hebrew word l’hitpallel means to pray. The root word is pallel, which actually means to judge, clarify, differentiate or decide. In the reflexive tense of the word--l’hitpallel, the subject acts upon him/herself. Prayer, therefore, is about self-definition and establishing some level of personal inner clarity. During prayer, one is able to clarify his/her relationship with God and with the world, thus opening a clearer channel of communication with the Divine. 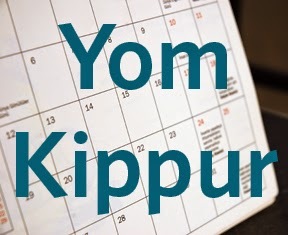 This Treat was reposted in honor of Yom Kippur.